Arts for LA thanks the Santa Monica-Malibu Arts Education Advocacy Team for their partnership in collecting and distributing these survey results. The Actors Fund, KCET Artbound, California Alliance for Arts Education, LA2050, LA STAGE Alliance, Latino Arts Network, Otis College of Art and Design, and the Social & Public Art Resource Center (SPARC) served as Regional Partners by promoting Arts & Culture Candidate Surveys throughout Los Angeles County. 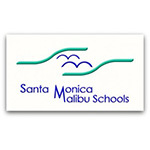 Voting for Santa Monica-Malibu Unified School District will be held on Tuesday, November 4. 4 seats are available in this election. Elections are at large; voters may vote for any of the eligible candidates in this election. I studied classical piano form the age of about 5-6 till I was in High School. I participated in Choir, Madrigals, and took Dance Classes. Once at USC, I joined the Trojan Band as a “Flute” and was in the band for 3 of my 4 years there. I also belonged to a sorority, and participated in our skits for rush. There were so many wonderful moments; it is hard to pick only one. My first recital at the Beverly Hills Hotel is one moment that was special in my little pink “whip cream like dress”, and the another was being in the SC Band, doing TV shows, Traveling to northern California each year, and Notre Dame every other, marching the ROSE BOWL, and recordng with Fleetwood Mac, Tusk, a double platinum record. In high school, my music teacher introduced my class to Leopold Stokowski's orchestration of Debussy's prelude 'La Cathedrale Engloutie' and Bob Dylan's "Lily, Rosemary, and the Jack of Hearts." Until then, "academic" music and fun music had been two distinct categories in my mind. With these incredible pieces telling stories I could enjoy, I began to see music as an artistic expression capable of great depth and meaning. Both pieces remain among my favorites today. Growing up in and around New York City gave me great access to the arts. My uncle retired to paint, which led to great family discussions about art. He followed the abstract expressionist school, so I got to do a lot of imagining about what I was looking at. When I was about 12 we went to the Guggenheim and it and the Willem de Kooning paintings knocked my socks off. Later on, in college, I took some drawing and sculpture classes to balance my economics focus and felt confident enough in my creativity to study design and become an architect. As a child I wanted to be a dancer. I remember the dance program as part of my elementary school education to be exciting and something that I looked forward to. In middle school and high school I was in drama classes and I performed in school plays and musicals. These experiences forged life long friendships and have forever influenced how I see arts in public schools. One of the most meaningful experiences for me was performing in Fiddler on the Roof my senior year in high school. The key to a child's success in school lies in finding that student's unique gift, their particular contribution to life. Each gift is unique and many fall outside the conventional parameters of traditional education. For some children, artistic expression is the key expression and, denied that, their contribution is sniffled. For all children, exposure to many different creative media is essential to a well rounded voyage of self-discovery and learning. Creative expressions learned early in school become lifelong friends, support systems, modes of expression, and sources of joy. Critical to student success is student engagement. Students who enjoy being on campus and learning are motivated to achieve – as individuals and as part of a group. The arts are a significant place where students can participate in creative activities and be successful. Over 40% of our students are enrolled in our music programs, starting with 100% participation in 4– 5th grades. Student achievement continues to increase. All of our elementary schools API scores are above 800. Our graduation rate is over 91% with over 2/3 of our seniors going to college. The arts truly impact student success. For me the arts are key. I have been an advocate for STEAM and not just STEM. I have seen first hand how the arts can be a pathway to retention of students. Kids need to be seen and valued and public education must include and provide a variety of pathways for children to explore themselves and their place in civic life. Far too often the arts are seen as marginally important to academic success. I couldn't disagree more. This initiative is both good and bad. From the core curriculum perspective, when you are teaching history, by incorporating visual, audio, art, music, language and math for that period, it gives a student a well -rounded basis and understanding of a subject, Unfortunately, the down side of this is that the students who are in the arts MUST HAVE a foundation, which is not provided for by the core program. You can not do music or art without a solid foundation. The SMMUSD's Vision for Student Success brings visual art, music, and dance to every elementary student in the district through P.S. Arts. This is a fantastic addition to a district that has fought hard and successfully to preserve as much art education as possible through challenging financial circumstances. The district's art budget has been supported in so many ways by the community and we are truly lucky to be one of the leading districts in California in terms of art education. SMMUSD was one of the first 5 area Districts to complete and approve an Arts for All plan. We are using this roadmap to restore a K-12 sequential standards-based curriculum in all 4 arts disciplines. This year, as part of our Vision for Student Success, we are providing 30 weeks of arts education in every K-5 classroom. Continuing weaknesses are a lack of funds to expand arts programs and insufficient communication about arts program successes with the community. The strength here is the commitment. As I mentioned above, far too often the arts are placed on the margins. Arts education is key curriculum -- just like math and science and language. It seems unacceptable that one cut math curriculum in the face of budgetary reductions -- it should be equally unacceptable to cut the arts. That being said, the fact that our District has a demonstrated commitment to arts education is significant. However, the curriculum is lacking and needs to be expanded. The new local funding formula will allow greater latitude for exploration in curriculum. The Santa Monica-Malibu Education Foundation is increasing its efforts to make clear its achievements to parents and community members. There are now regular emails, listings on their website, and announcements in the schools. Each performance supported by the Vision for Student Success is another testimony to the support of the community and the experiences of the students. Our Visual and Performing Arts District Advisory Committee (VAPADAC) provides an annual update of arts curriculum and facilities to the Board of Education and the community. These study sessions result in the Board providing direction to District staff regarding the allocation of resources to maintain and enhance arts education in the SMMUSD. The VAPADAC and the Santa Monica-Education Foundation also use social media to provide information on school site arts events. One way that I have personally made SMMUSD's arts education plan visible is through my work as the Vice President of Education for the District's PTA Council. In that position, I have worked directly with the District connecting SMMUSD with Santa Monica College's music and dance departments to bring classical music and ballet to the SMMUSD 5th graders. For the past two years I have produced programs that expose kids to opportunities they might not otherwise have. As an active civic leader in Santa Monica and Malibu I am well known for this work and my commitment to the arts. Arts education is foundational to academic success. There is much academic research that demonstrates that merely increasing time spent in core subjects leads to flat or even reduced academic outcomes. A wise school district will use a balanced approach to filling the school day, including artistic, creative outlets, physical activity, and academic time. By including all aspects of the whole child the academic success of the child is supported optimally. Candidate did not respond to this question. Quite simply, arts education aligns with all of the new priority areas. In line with my earlier responses, I see arts education as part of the very fabric of public education and civic life. What local control will allow for us is an opportunity for our community to demonstrate this belief and commitment in the work we do in nurturing and education the children of our community. I am most excited in exploring ways the arts can be imagined in the work of closing the achievement gap and holding onto students and their joy of learning.